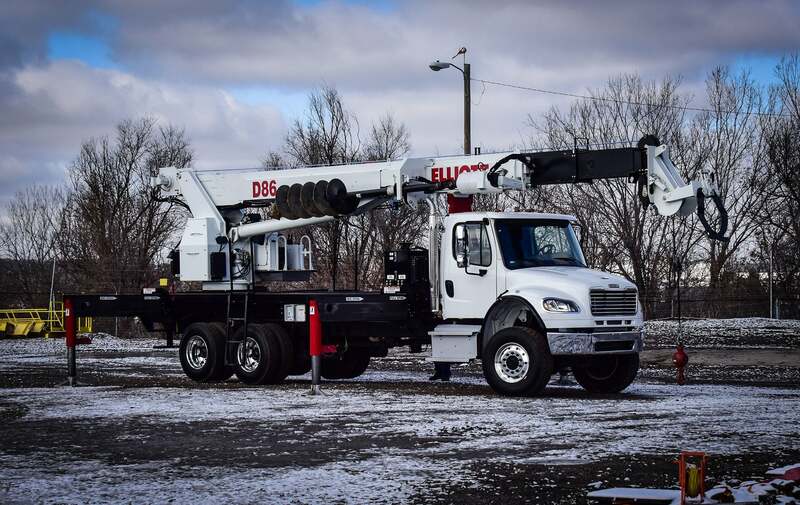 Elliott Equipment Company is excited to introduce the newest addition to their ANSI 10.31 derrick digger product line. The D86 joins the already popular D105 and the D115 as a heavy duty force. 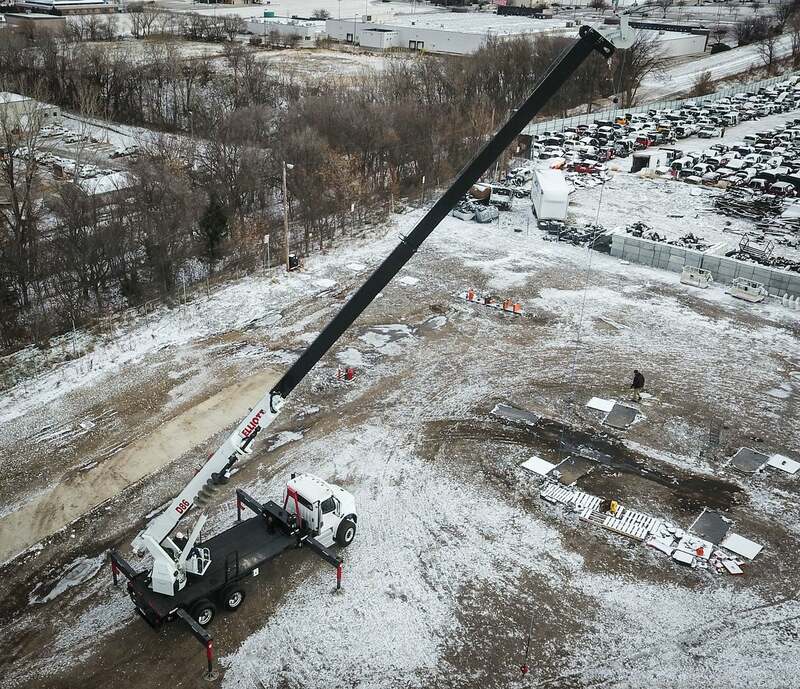 Specifically designed for large transmission and heavy construction projects, the D86 digger derrick boasts a 86 foot sheave height, a 41-foot digging radius and 20,000 foot-pounds of digging torque all while comfortably mounting on a tandem axle chassis. Just like its predecessors, it offers high boom pinpoint geometry allowing for maximum power ‘out-of-the-hole”, a variable displacement piston pump, and the same ergonomic seated control console as the D105 and D115. Find out more about the D86 here.